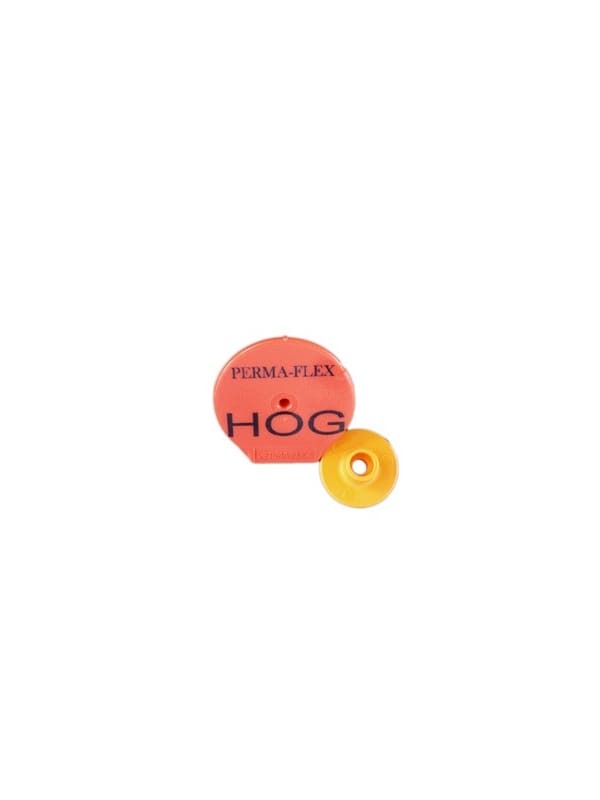 The 1 7/8" diameter space on this hog ear tag allows for good size numbering or even a top or bottom line of text for further information. 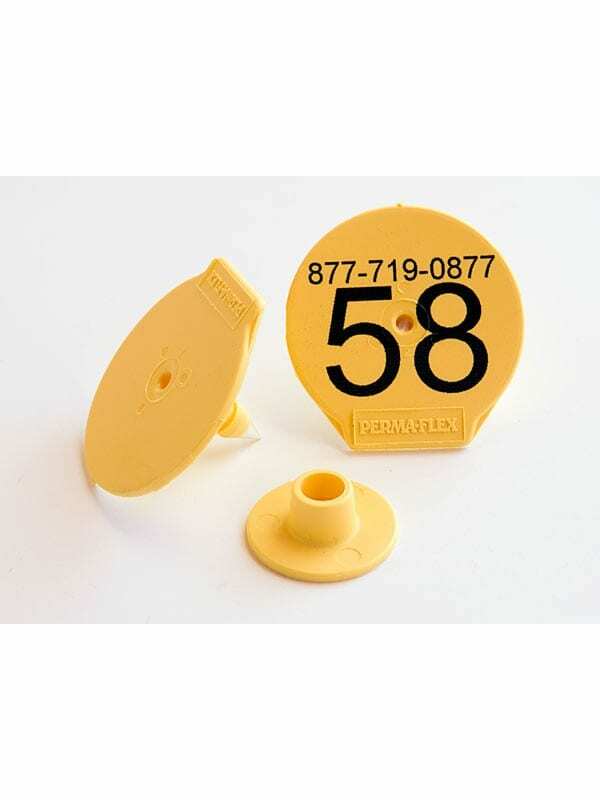 The stud is attached to the ear tag and it comes with a back button to anchor. 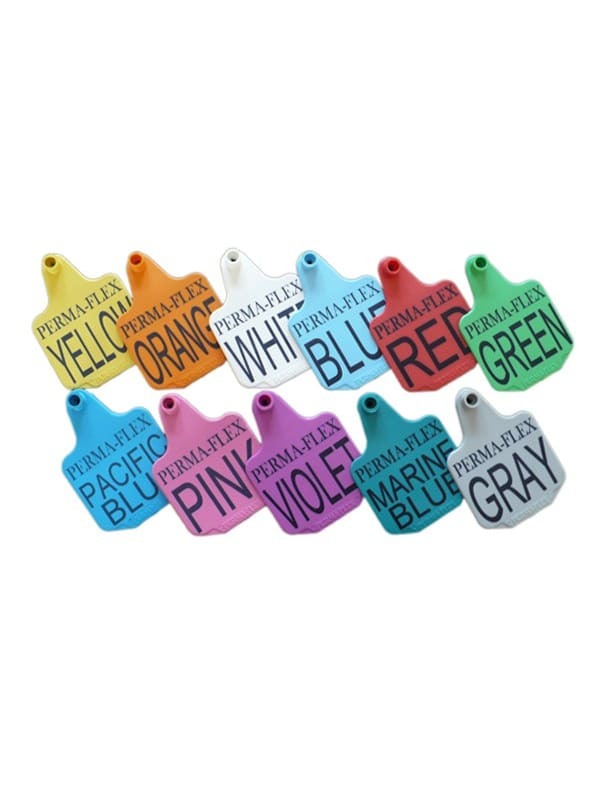 Nine great colors to choose from. Custom printing may take up to 15 working days.